March 2015 – My Story – ISB and beyond !!! 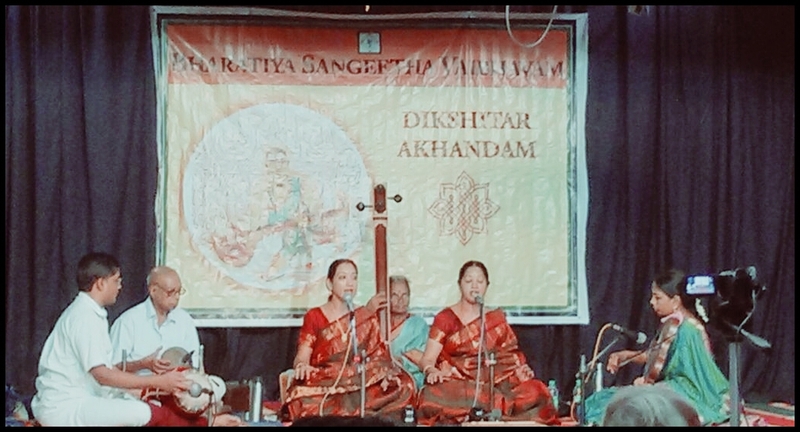 I played mrudangam for the concert of Mambalam Sisters at the Dikshitar Akhandam. Song list and other details are given below. Shri V.V. 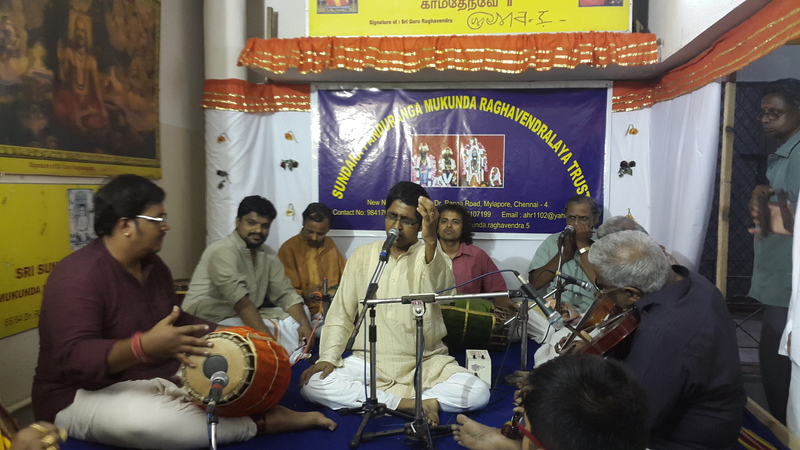 Subramaniam performed today in Mylapore. It’s a loss for us rasikas that we don’t get to hear him that often. What a naadham! What weight in his bowing! Each musical sound that emanated from his violin sounded so pure and complete!!!! Hanumanthapuram Shri Bhuvarahan played the mrudangam. 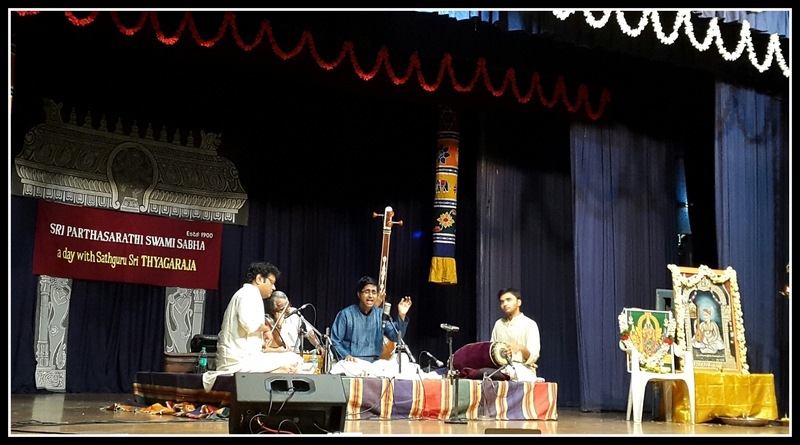 Abhishek Raghuram sang today for the akhandam being held at Sundara Panduranga Mukunda Raghavendralaya Trust. T.K. Padmanabhan and M.A. 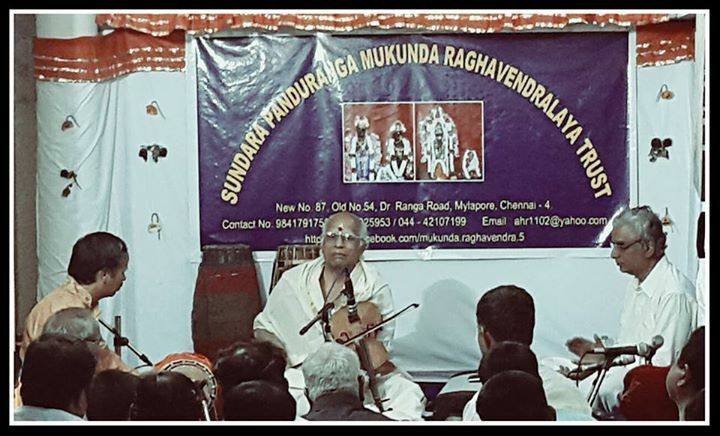 Sundareswaran played the violin. 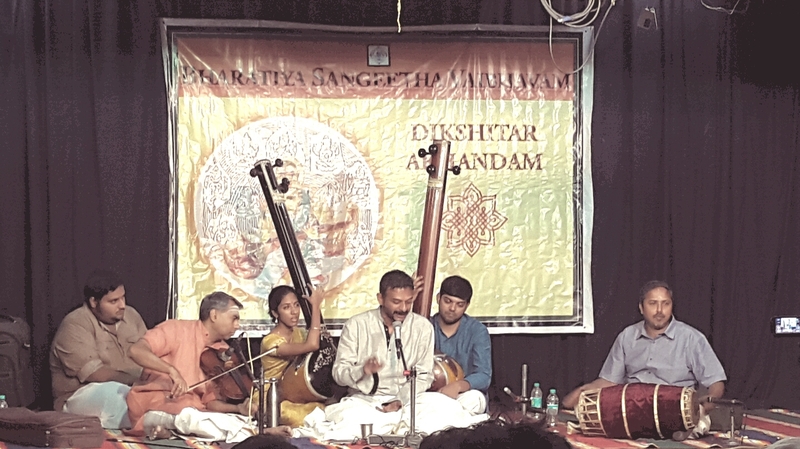 B. Shreesundarkumar, Guru Raghavendra, Hanumanthapuram Bhuvarahan and Kunnakudy M. Balamuralikrishna took turns to play the mrudangam. A.S. Krishnan played the morsing.